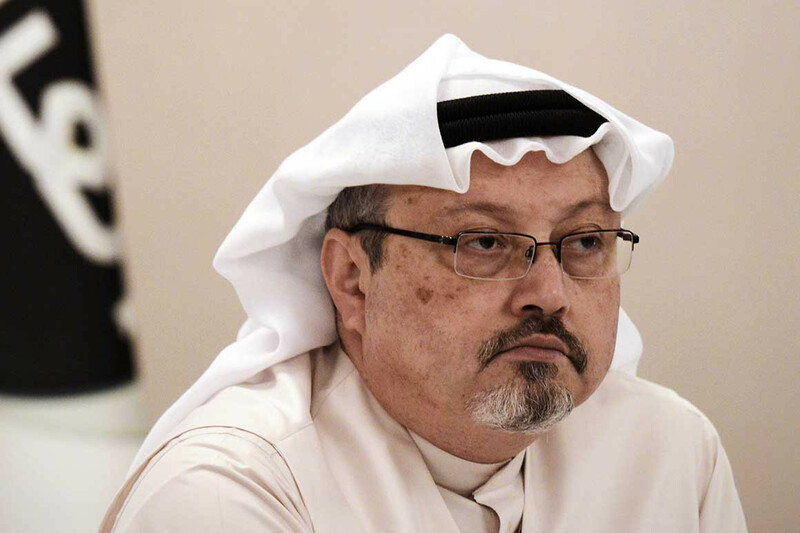 Saudi Arabia said it was questioning 18 Saudi nationals over Jamal Khashoggi’s now confirmed death. Saudi Arabia on Saturday confirmed for the first time that journalist Jamal Khashoggi died in the kingdom’s consulate in Turkey, claiming his death occurred following a “fist fight” gone bad. Saudi Arabia’s King Salman has ordered a committee of top government agencies to further investigate what happened to Khashoggi and to issue a full report on the subject within a month. The move buys the Saudis time as a bipartisan group of U.S. lawmakers continues to exert pressure on the Trump administration to sanction Saudi Arabia over Khashoggi’s death. The kingdom’s official foreign affairs ministry Twitter account published a series of tweets that said Khashoggi’s death was preceded by a fist fight between him and others inside the Saudi consulate in Turkey, where he was last seen on Oct. 2. The ministry also said an investigation continues into 18 Saudi nationals who may be connected to the fight. Media reports indicated deputy intelligence chief Ahmed Assiri, who was previously reported as a potential fall guy for the episode, has been fired. Turkish intelligence has said that Kashoggi’s death was no accident and that the Washington Post columnist, who was often critical of the kingdom’s royal family, was killed in a premeditated murder. Some U.S. intelligence agencies reportedly have information showing that Saudi Crown Prince Mohammed bin Salman was involved in the plot that led to Khashoggi’s death. The U.S.-Saudi relationship has been under intense scrutiny as President Donald Trump and other members of his administration officials have preached patience in finding the full facts of what occurred. Trump himself has been particularly reticent to cut back on arms deals with the kingdom as a result of Khashoggi’s death. The White House has yet to respond to the announcement, though Trump has a public rally scheduled later this evening.